The inspiration behind this dish actually came from a Kraft recipe that I had found a few months ago. I did some tweaking to suit our tastes (I used meatballs instead of chicken) and it was an instant hit with the family. You really can't go wrong with pasta and lots of cheese. It was fantastic! Cook pasta in large saucepan to al dente. Drain and set aside. Meanwhile heat tomatoes, spaghetti sauce, and meatballs. Simmer on low heat for 15 min, stirring occasionally. Stir in cream cheese, basil, and garlic powder. Stir in 1/2 cup mozzarella; and then add noodles. Pour into 2-qt. casserole sprayed with cooking spray. Bake 20 min. or until heated through; top with remaining cheeses. Bake an additional 3 min. or until mozzarella is melted. Enjoy! 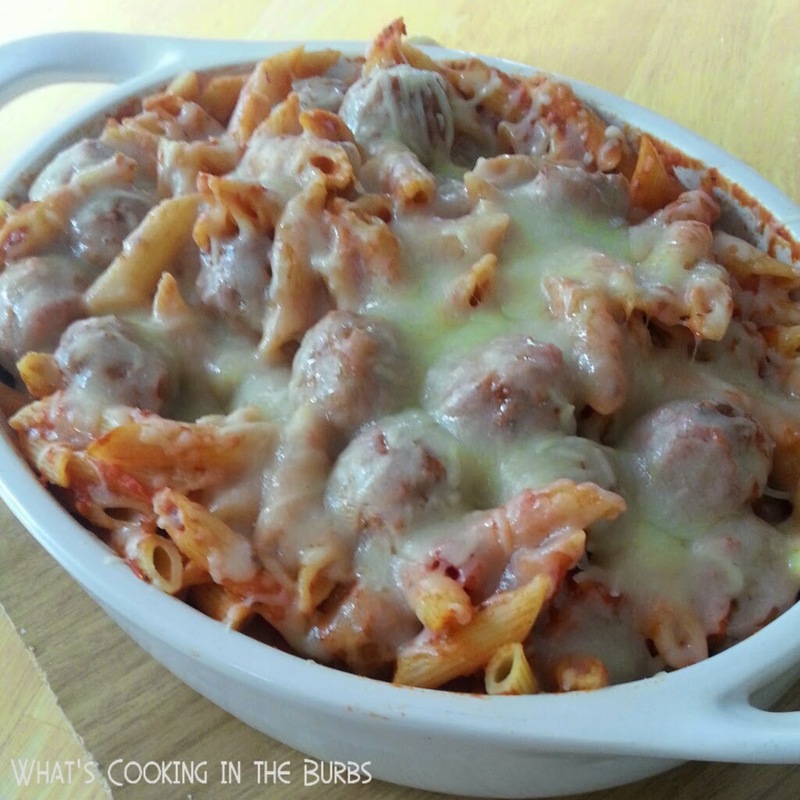 You're right -- pasta, meatballs, and lots of cheese...you can't go wrong! My family will love this. :) Pinned!